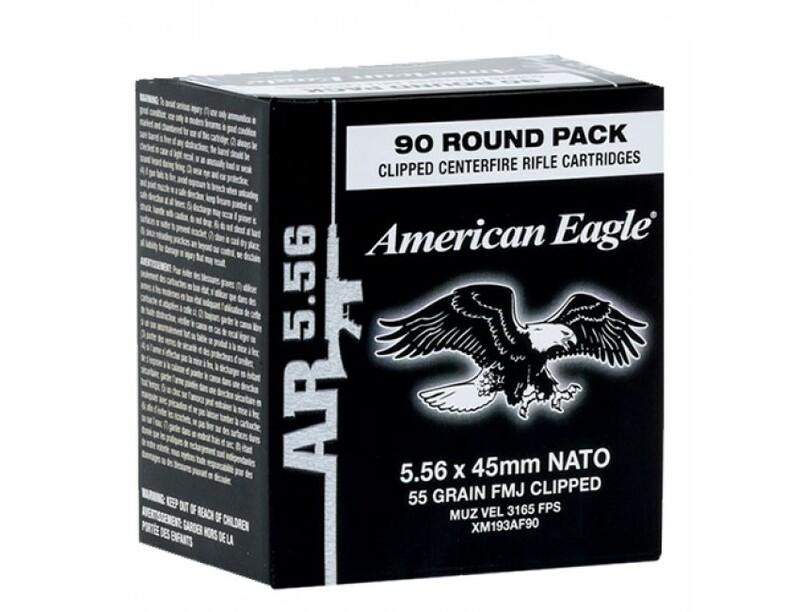 Federal Premium American Eagle Rifle Ammo for Personal Protection/Target. 5.56x45mm NATO, 55 GR, Full Metal Jacket Boat Tail. Case price, 5 Boxes with 90 Rounds/Box, 450 Rounds Total.